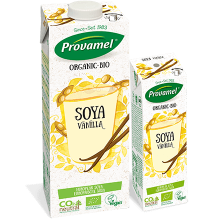 From start to finish our Soya Original with Calcium Drink is packed with goodness. Not only does it taste great, it's packed with high quality protein, and algae that contains calcium. It's a nutritious blend, gently sweetened with apple concentrate. Go on, take a sip.